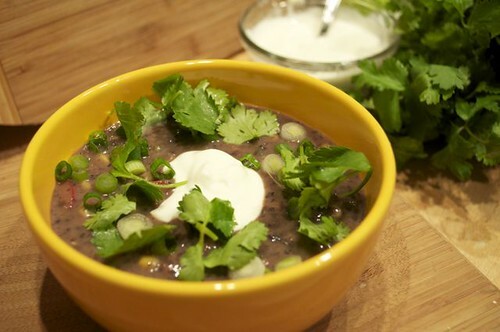 If you’re not a black bean lover, what are you waiting for? First, could they be more gorgeous? 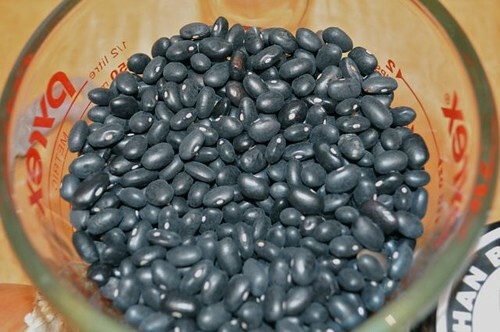 Especially after you’ve rinsed them – they could double for black onyx in a photo shoot – glossy, gleaming, perfection! 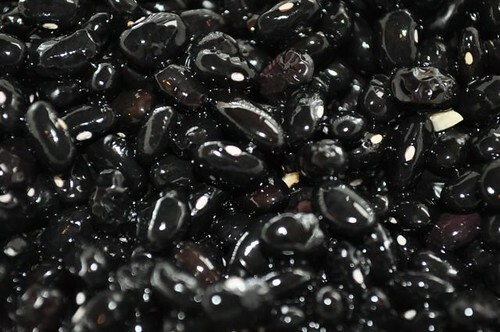 And speaking of real gems – black beans more than live up to that title, in fact you could say that onyx is to gemstones as black beans are to legumes– impressive. If you’re looking for something to stick to your ribs, keep your dollars in your wallet and be on par with that little black dress in the versatility department – this would be on the short list. And if you’re looking for hearty, hot, smoky & firey without inviting a few cowboys to dinner – get yourself the fixin’s, add your own heart, heat, smoke and fire and you’ve got yourself a big ‘ole pot a cowboy heaven straight from a ranch in the heart of Mexico. 1. 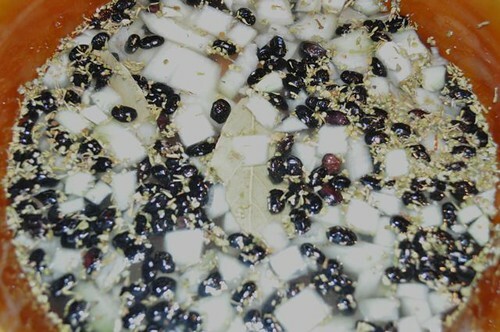 First, the dried black beans. 2. 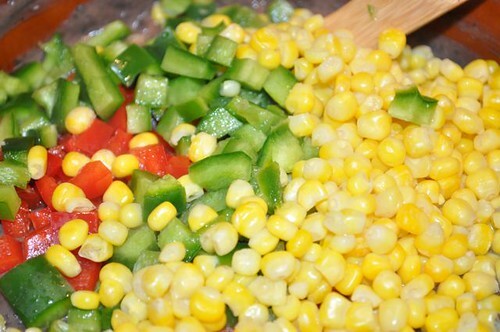 Give them a good rinse and voilà – edible gems. 3. 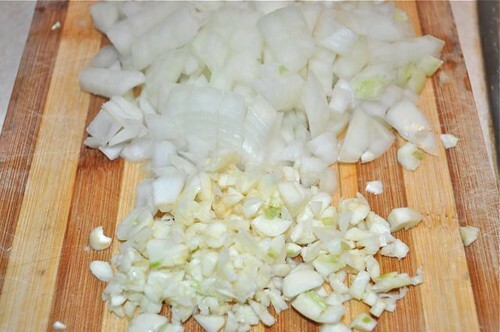 Chop the onions & garlic. 4. 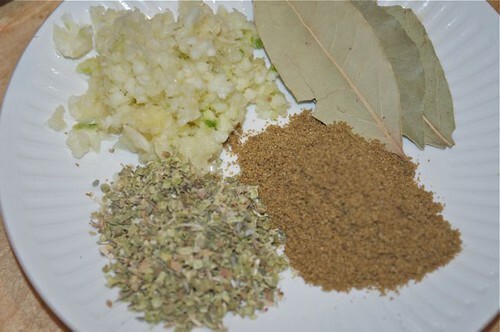 Organize the oregano, cumin, bay leaves (and garlic). 6. 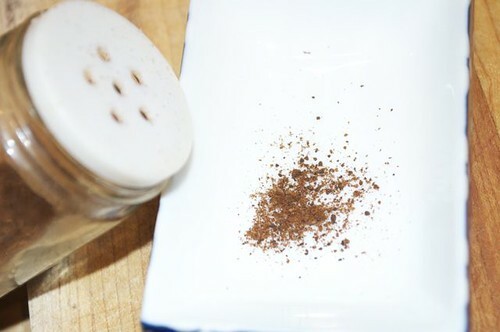 The secret ingredient – a couple of shakes of ground cloves. 7. 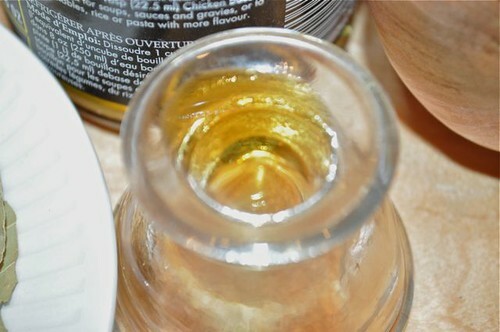 Another secret ingredient – liquid smoke. 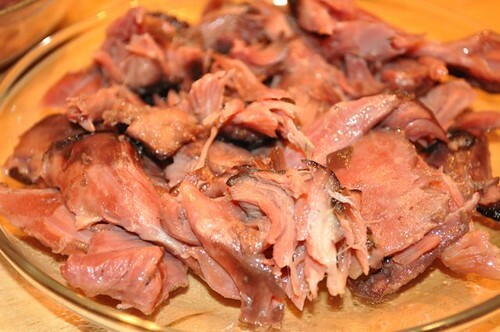 It will make the soup taste like it was made by cowboys – hot, smoky cowboys..
8. 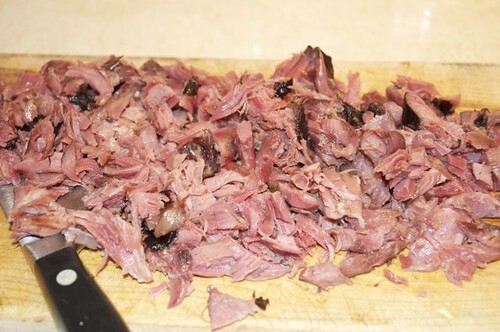 And a big bad smoked pork hock rounds out the secret ingredients. 9. 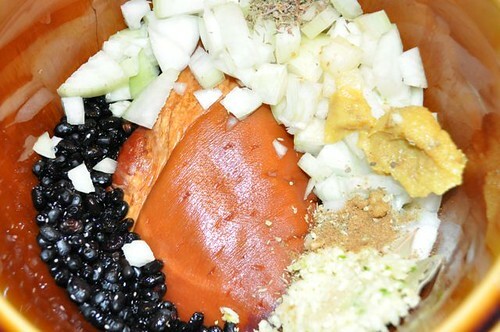 Throw it all in your slow cooker. 10. 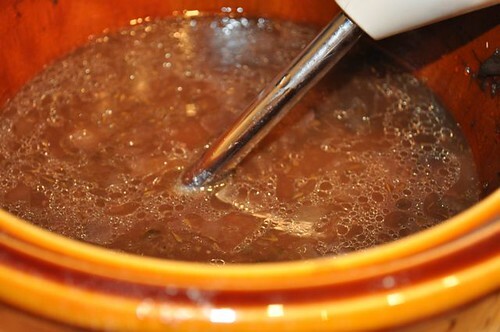 Add stock – or water if you used bouillon cubes or paste – I use paste, so that explain’s the blob on top of the onions. 11. 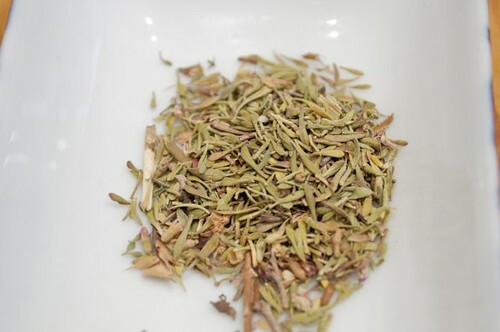 Stir it all around. 12. 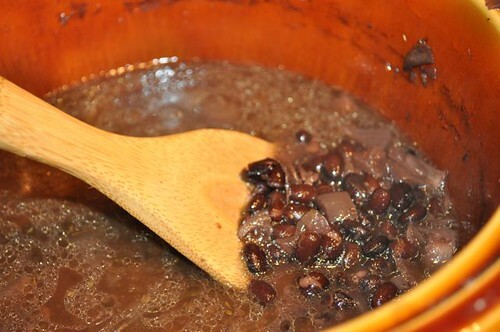 Put on the lid and cook for 6-8 hours until the beans are creamy and dreamy. 13. Wakey, wakey, rise & shine – lift the lid and this is what you’ll find. 14. 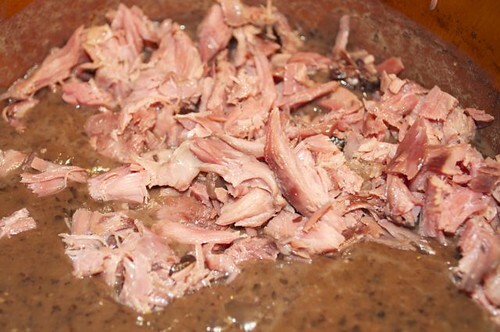 Get yourself a large bowl and fish out the pork hock – it will fall apart so stir around to make sure you’ve got it all, especially the bones. 15. 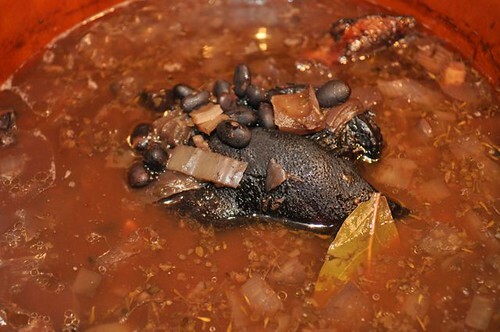 Admire your beans for a moment and get back to your big, bad pork hock. 16. 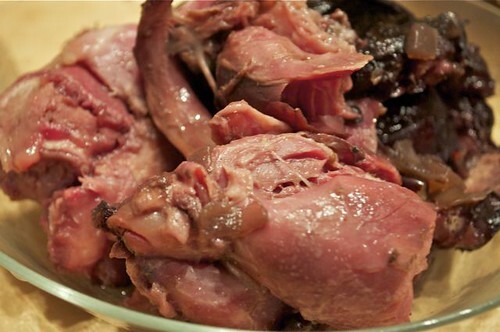 Separate the meat – discard the fat, skin and bones. 17. And you’re left with gorgeous, melt-in-your-mouth pieces of smoky heaven. 18. Pile them on your board and give ’em a rough chop. 20. See? 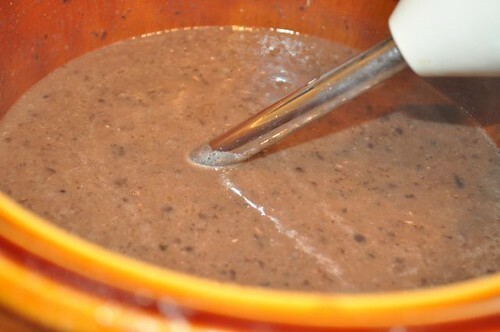 Silky, creamy, dreamy pot of goodness. 21. 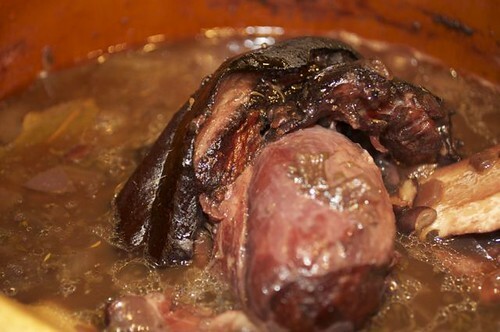 Add the meat back to the pot and give it a good stir. 22. 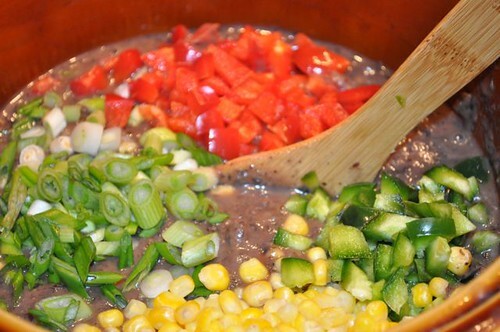 And there is your pot of black bean soup. You can dig in right now or add a few fresh crunchy bits for texture, flavour and interest. 24. 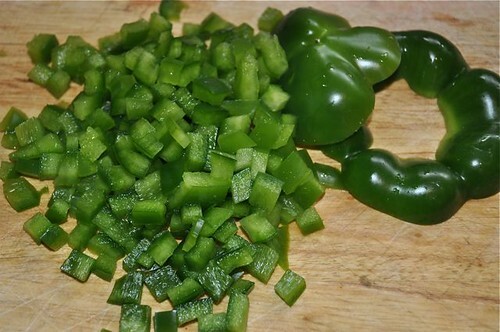 Chopped peppers – green and red in particular. 25. 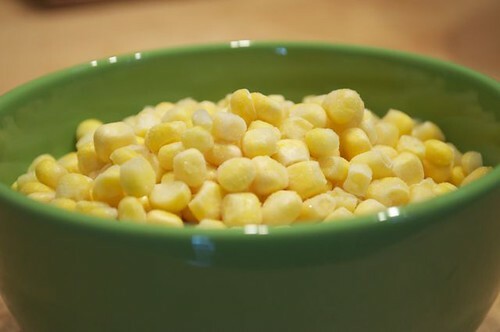 Frozen corn, nuke them for a minute to take the ice off. 26. 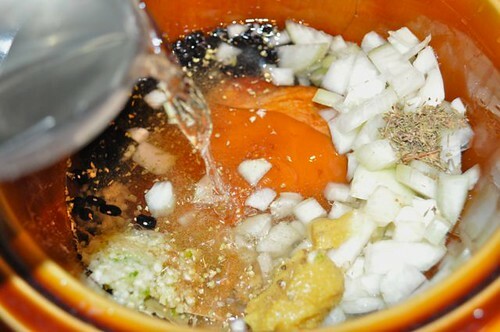 Add them to the soup pot. 27. 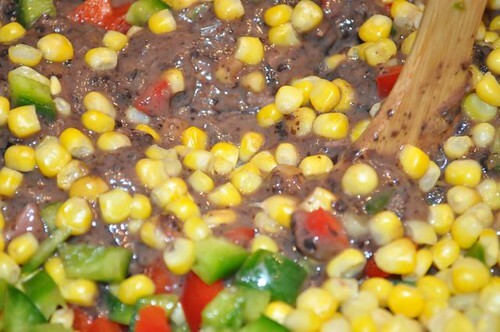 I love corn in black bean soup and the colour contrast is brilliant. 28. 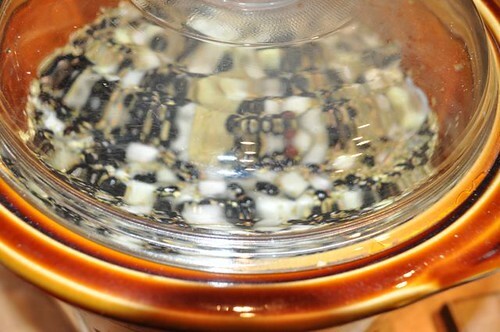 Give it a good stir and leave on low for a half hour or so to heat through. Or ladle into bowls and heat in the microwave. 29. 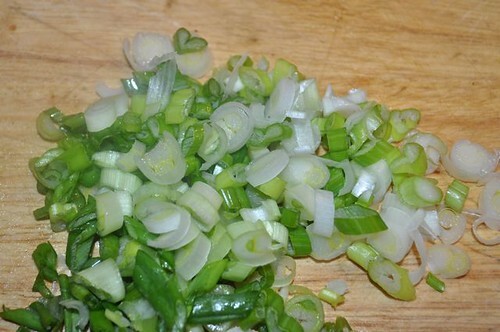 Serve your soup and sprinkle with a few sliced scallions, chopped cilantro and a dollop of plain yogurt or light sour cream. And of course, pass the hot sauce! 2. Cover and cook on high for 6-8 hours. 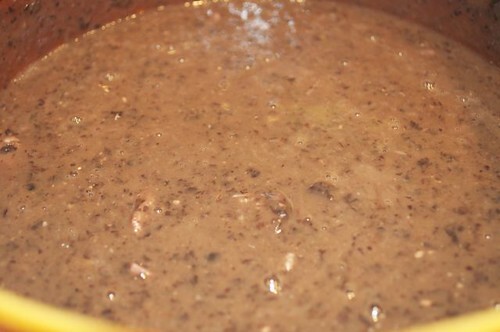 The beans should be soft and creamy. 3. 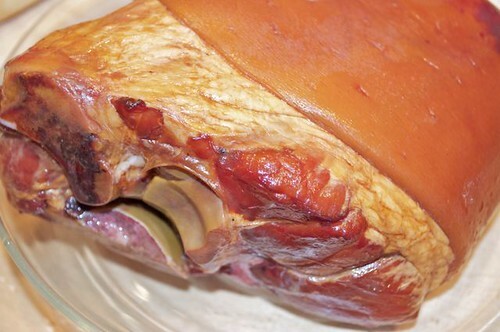 Remove ham hock, let cool, shred meat and discard skin, fat and bones. Break up the meat and set aside. 5. 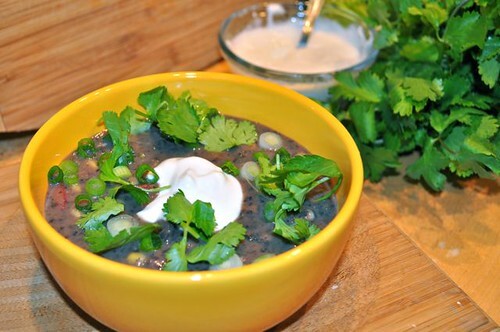 Serve with chopped cilantro & sour cream or plain yogurt.